When Jake Zaas, 15, learned he was a bone marrow match for his dad, David Zaas, MD, president of Duke Raleigh Hospital, there was no hesitation. David was battling acute myeloid leukemia (AML), a cancer of the bone marrow and blood caused by a rare genetic mutation. In early 2017, Jake donated to his dad, lifesaving lymphocytes. 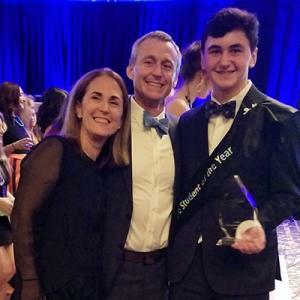 Two years later, even though his father’s cancer is behind him, Jake continues to wage war against blood cancers, clinching for him the 2019 Triangle Student of The Year title—a title awarded annually by the local chapter of The Leukemia and Lymphoma Society. Because of his genetic mutation, the Duke Raleigh Hospital president was enrolled in a cutting-edge clinical trial utilizing personalized gene therapy—therapy that required a bone marrow transplant. According to The Leukemia and Lymphoma Society, approximately 60,000 Americans were diagnosed last year with leukemia. Funds raised by LLS help support breakthrough research like the one used to cure David Zaas’ cancer. In 2018, LLS funded more than $800,000 in research grants at Duke alone. “I participated in the Student of The Year campaign so that every family battling blood cancer ends up with a story that is as successful in the end as that of my family,” continued Jake, whose father returned to work cancer free in July 2017. 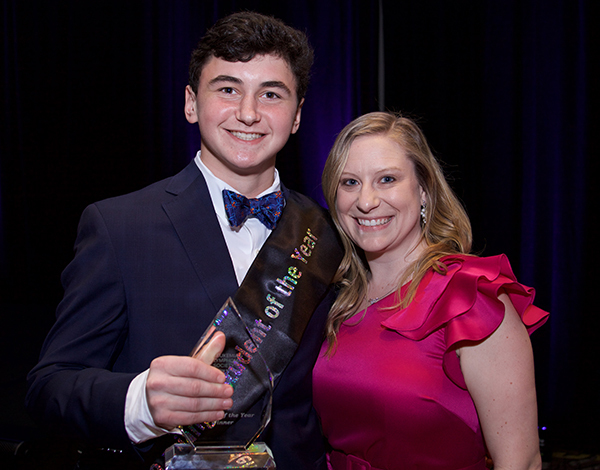 The society’s Student of The Year campaign is a philanthropic leadership development program in which high school students raise funds to support the cause. Students are nominated to participate. Each dollar raised counts as a single vote. 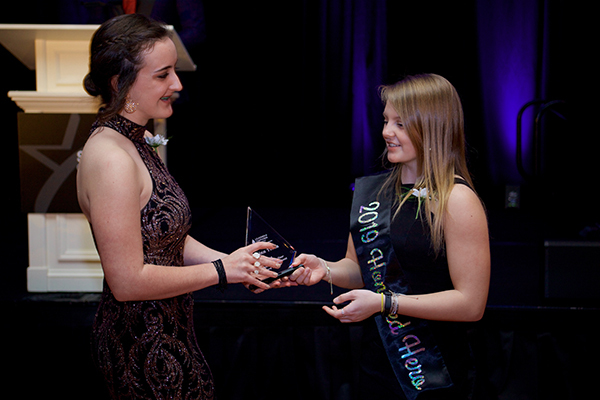 The student raising the most during the seven-week campaign is named Student of The Year. Quinn Tobin, the youngest daughter of Jim and Kathy Tobin, chief administrator for Duke Ne urosurgery, also participated in the campaign. Together, 15 local students raised $604,000 to support blood cancer research. Jake’s total funds raised qualified him to be entered in the national competition. The amount raised by Jake will be announced in June when the national competition concludes. For more information on the Triangle Student of The Year campaign or to nominate at student, visit LLS Student of The Year.